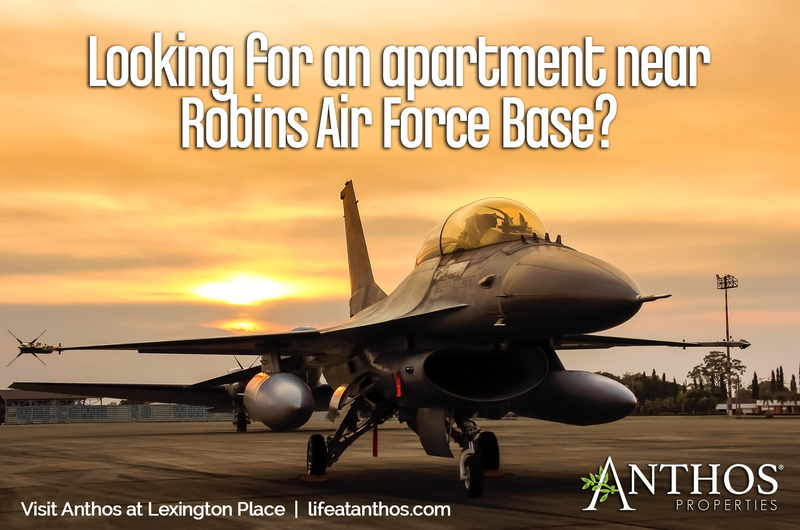 Looking for an apartment near Robins Air Force Base? 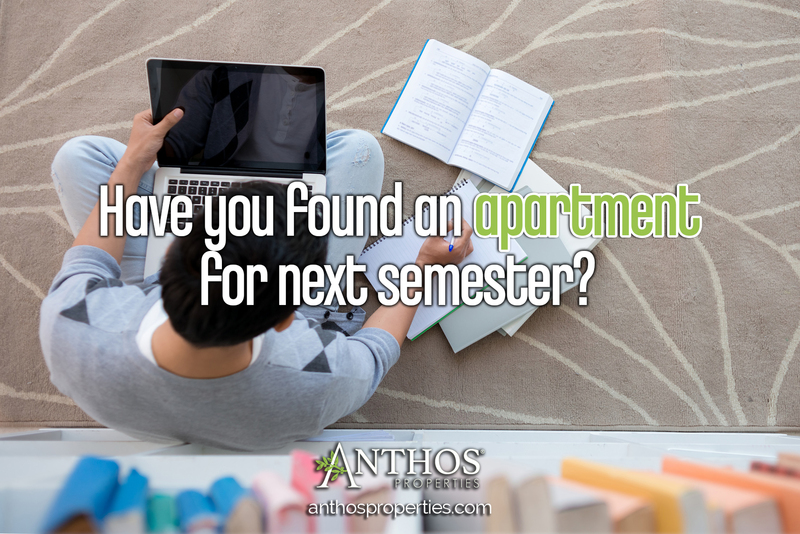 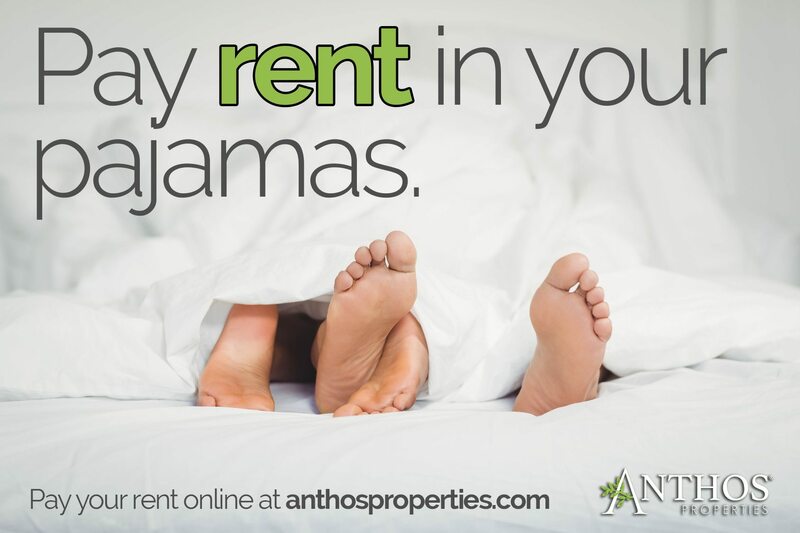 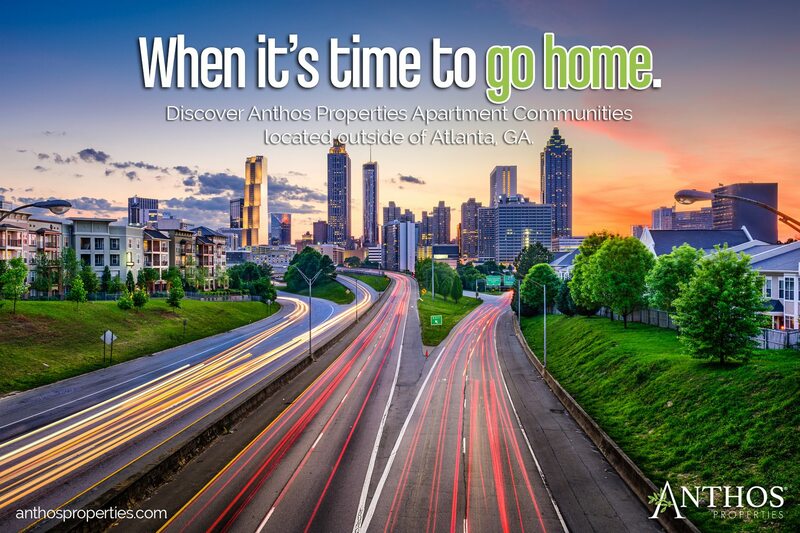 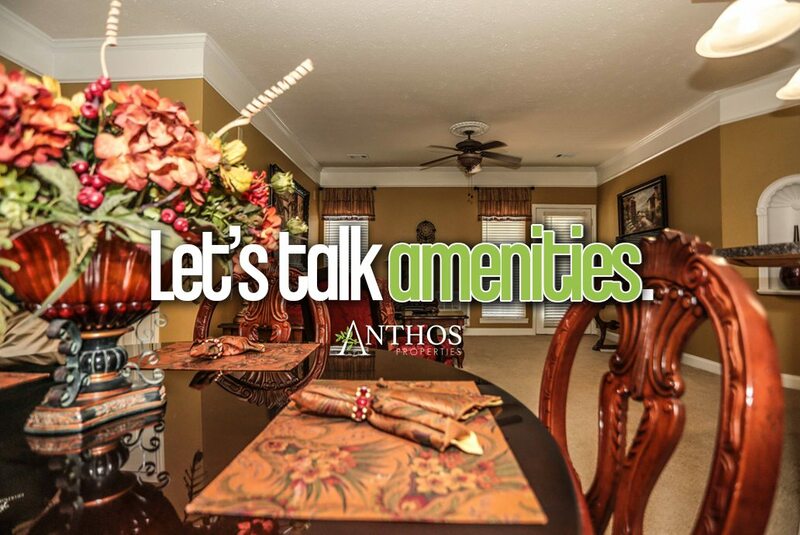 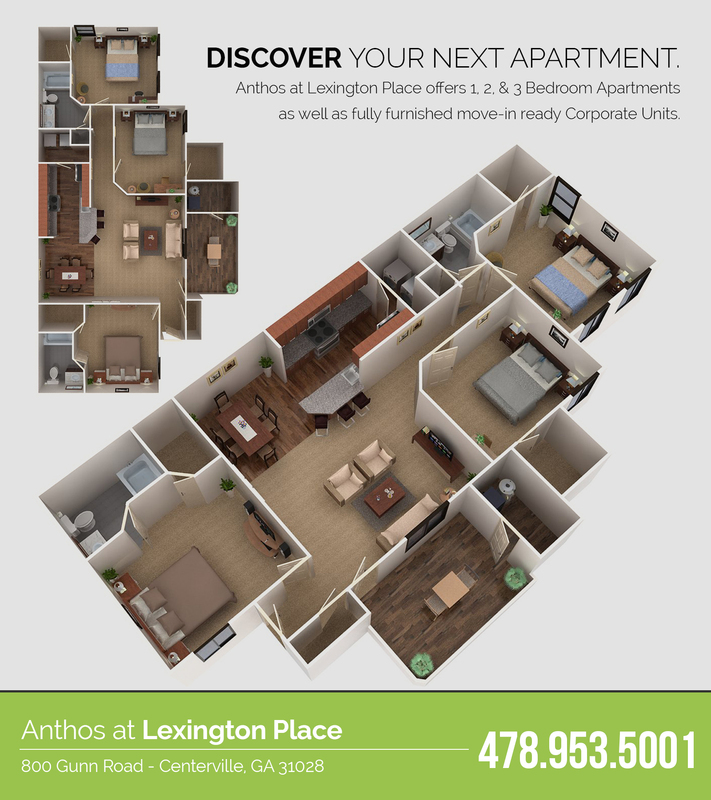 If you're searching for your next apartment and are interested in one with a lot of space, check out our 3 Bedroom apartments at Anthos at Lexington Place! 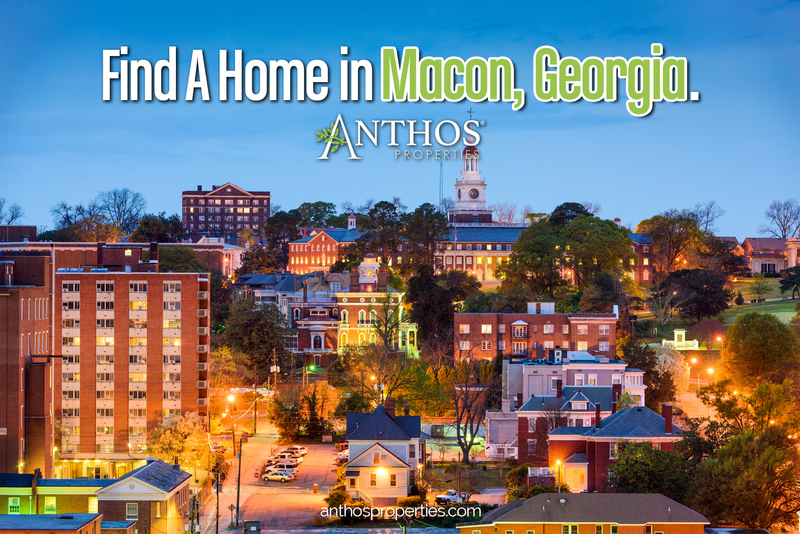 This property is located near Warner Robins, Georgia and features some pretty remarkable features. 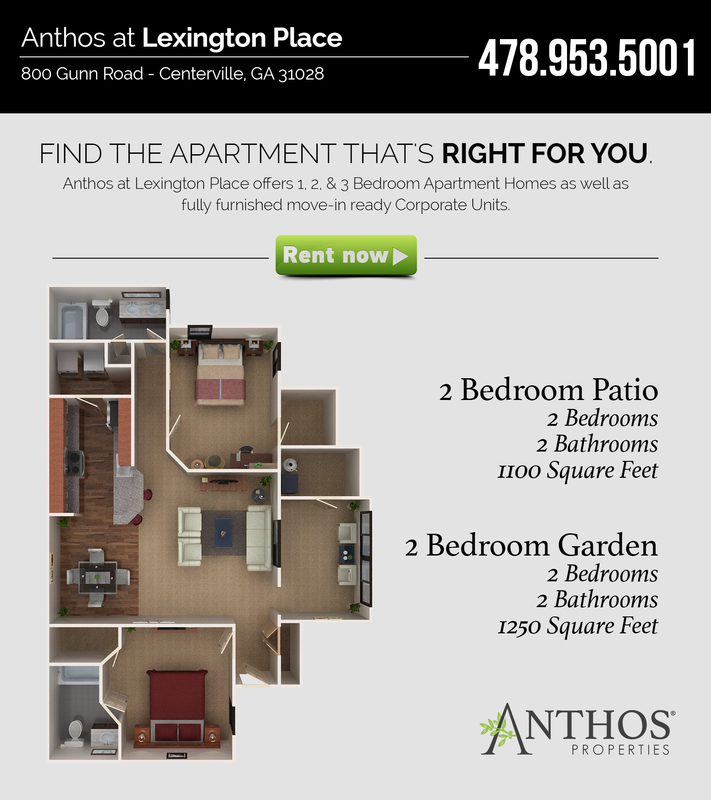 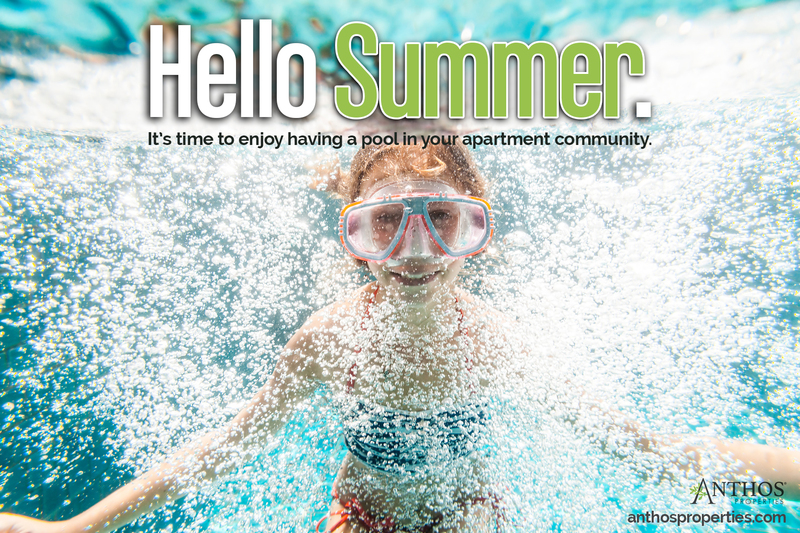 Our 3 Bedroom, 2 Bathroom apartment homes are equipped with 1350 square feet!